In Australia the impact investing market is forecast to grow at around the international benchmark of 30 per cent in the next decade and it’s attracting some big names, writes Karen Mahlab AM, founder of Pro Bono Australia in this blog that first appeared in The Australian. Big-name investors in any area will always turn heads. Just a few days ago it emerged the Murray Darling Basin Balanced Water Fund has attracted a string of new and powerful investors as it moves to a raise an ultimate target of $100 million. The Australian reported National Australia Bank and the billionaire Besen family have joined forces to make the fund one of the most important in the local market. Earlier this month the Impact Investing Australia 2016 Investor Report found that over the next five years investor demand for impact investment is expected to reach $18 billion. It showed that active impact investors would like to triple their allocation in the coming five years, and the vast majority of investors currently not active in the space are likely to consider social, environmental and cultural factors in their investment decisions. The investor report looked at a snapshot of more than 120 Australian investors who account for more than $333 billion in funds under management. What is emerging is a raft of deals, such as the latest extension of Murray Darling Fund, that are looking to receive impact capital that can scale up conservation work in Australia while also delivering a financial return for investors. In late 2015 an original $27 million impact investment in the Murray Darling fund led by the world’s largest conservation group, The Nature Conservancy, provided the first major investor exposure to Australia’s emerging water market. The Nature Conservancy now has 25 full-time staff working on impact investments around “conservation”. The intel suggests that they have dozens of conservation impact investments, both globally and in Australia, in the pipeline. The aim was to deliver significant environmental watering to some of the country’s most precious wetlands. Investment house Evans and Partners was appointed as lead manager of this conservation impact investment fund, which sought out those interested in investing in water, the environment and those who were prepared to be leaders in what is a model for funding some of Australia’s most challenging social and environmental challenges of the future. With its wide shareholder base the Murray Darling fund perhaps provides the first major opportunity in Australia for wholesale investors to achieve the multiple objectives of securing water for agriculture, realising a financial return and restoring threatened wetlands through a single investment. So how do impact investors in the water conservation area make money? Most commonly income is produced through the lease of water entitlements and the sale of water allocations to irrigation systems. General returns for long term investors in the area tend to range between 5 and 8 per cent before tax. One example of new investment entering the conservation sector is Mount Rothwell, which has been developed by impact investor Nigel Sharp (via Kilter Rural) as one of the largest feral-predator-free ecosystems in Victoria. Kilter Rural is the manager of the Murray Darling fund’s water portfolio. It has more than $110 million in water assets. By investing in returning endangered native animals such as the eastern barred bandicoot to the land, the improvement in the biodiversity of the property has been significant. Not only have the bandicoots flourished (going from around 100 to more than 1,100), the regeneration of the land has added value to the local ecosystem and improved the value of the rural residential property market in the area. Currently under consideration as an impact investment is the commercialisation of algae bi-products from Australia’s vast prawning industry. Announcements are expected in the very near future. Another exciting project just emerging is the Impact Investment Group’s $100 million solar impact fund. It involves the ownership of medium-sized solar farms throughout Australia that are under construction with long-term offtake agreements with state governments who have agreed to acquire 100 per cent of the power generated over a 20 to 30 year period. A range of governments are interested, particularly the ACT, where the renewable energy target is to be carbon-neutral by 2020. IIG is pulling together a fund of co-investors who will own the farms. With $50 million in assets already secured, the Solar Income Fund is expected to launch in May. IIG – which already has interests in the Chepstowe Wind Farm in Victoria – has recruited Lane Crockett, the former General Manager of Pacific Hydro, as head of renewable infrastructure to drive the business, which will see the solar farms as its first impact investment. Karen Mahlab’s article first appeared in the wealth section of the Weekend Australian. This edition has been slightly edited. 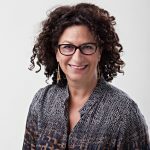 Karen Mahlab AM is the Founder and CEO of Pro Bono Australia. In 2015 she was awarded a Member of the Order of Australia for her contribution to the Not for Profit sector and philanthropic initiatives.